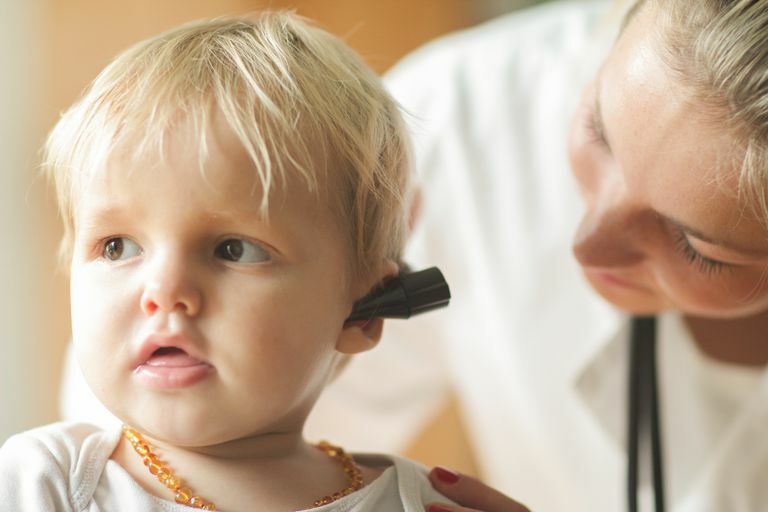 Microtia is a birth defect of a baby's ear. It happens when the external ear is small and not formed into a normal ear in the fetus during the first few weeks of pregnancy. The earlier the problem occurs while the baby is in the womb, the more severe the deformity. The right ear is affected more often than the left ear or both ears. One to five babies per 10,000 births has microtia. It affects males more than females and is more common in Asians and Hispanics than Caucasians and African-Americans. The highest occurrence is actually among the Navajo tribe of Native Americans. Plastic surgeons, however, can surgically correct these ear deformities. No one knows the exact reason microtia occurs. In some cases, genetics are responsible, either because of changes in genes or because of an abnormality in a single gene that causes a genetic syndrome. Certain drugs, such as Accutane (isotretinoin) taken during pregnancy, decreased blood flow to the fetus, and environmental factors are all possible causes of microtia as well. Some factors that increase the risk of having a baby with microtia include diabetes and maternal diet, according to the U.S. Centers for Disease Control and Prevention. More specifically, if a woman has diabetes prior to getting pregnant, she has a higher risk of having a baby with microtia compared to a woman who doesn't have diabetes. In addition, pregnant women who eat a diet low in carbohydrates and folic acid may also increase their risk of birthing a baby with microtia. Microtia can take on different forms. Sometimes a bump of skin may be present where the ear should be. Sometimes parts of the lower ear are present, but the upper ear is absent. The most severe form is when the outer ear is completely missing, also known as anotia. And there may be a lack of an opening into the ear canal. Even though it is the outer ear that has the noticeable deformity, other parts of the ear system are affected. The inside of the ear, specifically the ear canal and the middle ear, often have defects as well. Sometimes the ear canal does not even develop. In these individuals, there is no visible hole that leads to the eardrum and the middle ear. Such abnormalities can cause hearing loss. People with bilateral microtia (in both ears) are in a totally different situation than people with a unilateral microtia. Those with unilateral microtia have normal hearing in the normal ear, whereas those with bilateral microtia may be functionally deaf. The main goal of restoring the outer ear is to improve hearing since it catches sounds and directs them into the ear canal towards the eardrum and the hearing apparatus. Improved hearing also helps with speech. A hearing aid may still be needed. But what's more, an improvement in appearance is an additional benefit that can boost self-esteem and social acceptance. Reconstruction of the ear canal is performed by an otologist. Availability of enough rib cartilage to make the structure of the ear. It is not until age five or six that a child’s rib cage is large enough to provide adequate donor cartilage for an ear framework. The psychological effect of having abnormal/no ear(s). Reconstruction is done around school age in order to minimize/avoid teasing from peers. Some of the advantages to using synthetic material to rebuild a microtia ear are that there are no issues, such as scars and pain, from harvesting rib cartilage. It can be done in one procedure and the result is excellent cosmetic appearance. The disadvantages of using these materials are that the ear is susceptible to minor trauma and infection as well as the possibility of the body rejecting the new ear because of the materials used. Harvested from the rib cartilage, the disadvantages of using this treatment option is there can be pain and a scar associated with getting the material. Also, there is more than one surgery. However, this is the best long-term option and, because it uses a person's own materials, there isn't the possibility of the body rejecting the ear. In cases where there is not enough skin to cover either a synthetic framework or a cartilage framework due to trauma, burns, radiation, etc., a prosthetic ear can be used. A prosthetic ear has its advantages and shortcomings as well. While a prosthetic ear can look very much like a real ear, the quality of the device depends on the skills of the maker and available technology. Additionally, a prosthetic ear can be quite expensive. How long the device lasts also depends on the care rendered by the owner. In half of microtia cases, there is enough of the middle ear that can be reconstructed to improve or restore hearing. As with any surgical procedure, there are potential complications when it comes to ear reconstruction. Infection is a potential complication with either the synthetic or cartilage framework. Hematoma, otherwise known as a blood collection, can also compromise the cartilage framework. Skin loss in the ear area is also a possibility. Additionally, in cases where rib cartilage is used, lung problems, chest wall contour deformities, and unsightly scarring can occur. And complications involving the framework can result in needing to perform the procedure again. Division of Birth Defects and Developmental Disabilities, NCBDDD, Birth Defects: Facts About Anotia/Mirotia. Centers for Disease Control and Prevention. LeBlanc DM. Microtia. In: Janis JE, ed. Essentials of Plastic Surgery. St. Louis: Quality Medical Publishing, Inc., 2007. Thorne CH. The External Ear. In: McCarthy JG, RD Galiano, Boutros SG, eds. Current Therapy in Plastic Surgery, 1st Ed. Philadelphia: Elsevier, Inc, 2006. Thorne CH. Otoplasty and Ear Reconstruction. In: Thorne CH, Beasely RW, Aston SJ, Bartlett SP, Gurtner GC, Spear S, eds. Grabb and Smith’s Plastic Surgery, 6th ed. Philadelphia: Lippincott, 2007. How Is a Skin Graft Done? When Should You Repair a Cleft Lip or Cleft Palate? Will Insurance Cover Plastic Surgery?